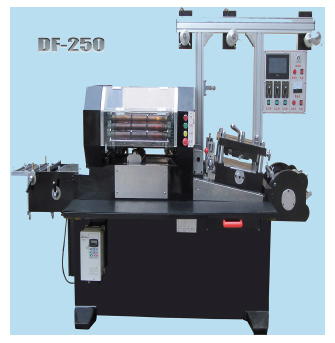 The machine uses rotary circle design principles of pressure and quick process with slung machine idea as a whole. After the company of a group of senior engineers, product designers and many years of efforts. 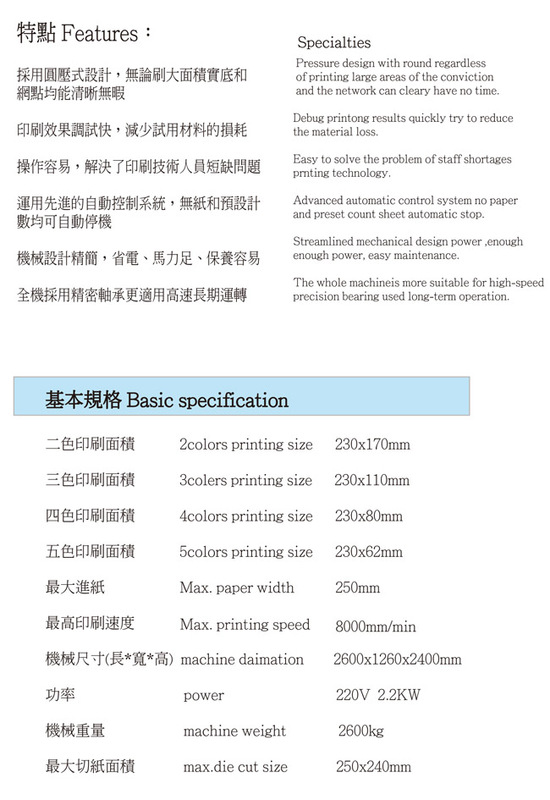 R & D simply slung out of the price of machinesto achieve the effect of rotary printing machine ofnew trademarks. 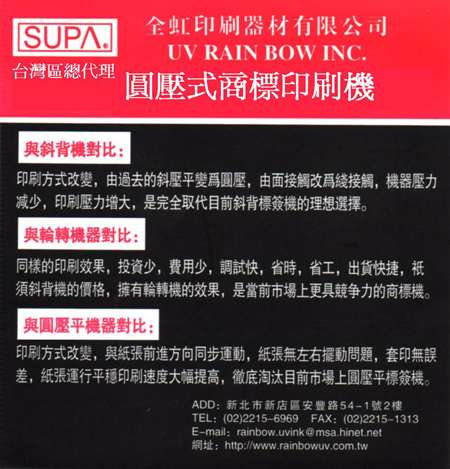 Is currently true for the user to do a low-cost high-quality, more competitive trademark press.